The user would be able toparticipate in «mining» on BitMax.io through using the platform for trading –paying transaction fee at a certain level and receiving certain amount of BTMX as reward for trading on the platform. This is applied to bothmarket liquidity Maker and Taker type of transactions defined as below. Taker-When user places an order that is immediately filled fully or partially (for example a market or stop order) before getting on the order book, the user for that order is defined a “taker,” taking liquidity away. The trade (full or partial) is Taker trade. The native digital cryptographically-secured utility token of BitMax.io(BTMX) is a major component of the ecosystem on BitMax.io, and is designed to be used solely as the primary token on the platform. BTMX will initially be issued by the Distributor as ERC-20 standard compliant digital tokens on the Ethereum blockchain. BTMXis a non-refundable functional utility token which will be used as the unit of exchange between participants on BitMax.io. The goal of introducing BTMXis to provide a convenient and secure mode of payment and settlement between participants who interact within the ecosystem on BitMax.io. BTMX does not in any way represent any shareholding, participation, right, title, or interest in the Foundation, the Distributor its affiliates, or any other company, enterprise or undertaking, nor will BTMXentitle token holders to any promise of fees, dividends, revenue, profits or investment returns, and are not intended to constitute securities in Singapore or any relevant jurisdiction. 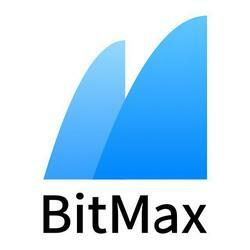 BTMX may only be utilised on BitMax.io, and ownership of BTMXcarries no rights, express or implied, other than the right to use BTMXas a means to enable usage of and interaction within BitMax.io.BTMX would also function as the economic incentive to incentivise users to participate in the BitMax.io ecosystem. Users of BitMax.io and/or holders of BTMX. which did not actively participate will not receive any BTMXincentives.The Distributor which issues and sells BTMXshall be an affiliate of the Foundation. The limit of 10 billion BTMXis strictly imposed without any further increase. BitMax.io The users can obtain BTMX through the Mining mode of «Transaction Mining» model andareeligible to receive BTMXbased offtrading volume and . BTMX can also be purchased on the exchange under the trading pairs of BTMX/USDTand BTMX/BTC. Other trading pairs will be assessed and considered in the future. BitTreasure is BitMax.io’s financial product based on digital assets. Each project has its investment term and yield. You could voluntarily choose to buy. Returns are calculated based on the interest — bearing period. The principal and interest will be unlocked and distributed to your account after maturity.